Oh my.. woof woof. 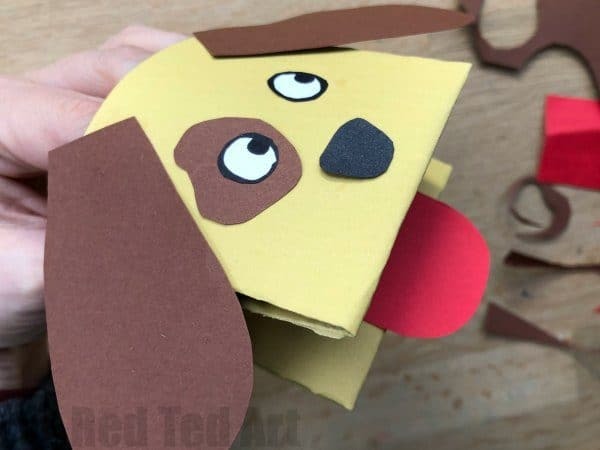 We are big dog lovers here at Red Ted Art (but do in fact only own two cats… my kids would LOVE a dog though.. sigh.. so Dog Crafts for Kids it is instead!! Is that cruel?? Ha, i don’t know). 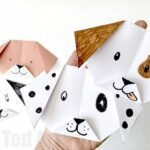 Once again, I am digressing… we love our super cute and easy Dog Origami.. and to go with it, we thought a fun and simple Paper Dog Puppet would be just the thing. These really are easy to make.. the best thing? 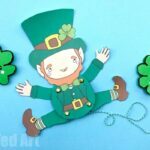 You can use just some white sheets of printer paper and decorate… or use coloured construction paper if you have some. 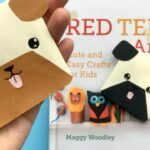 This makes it a super easy and accessible dog craft for all (I think!). 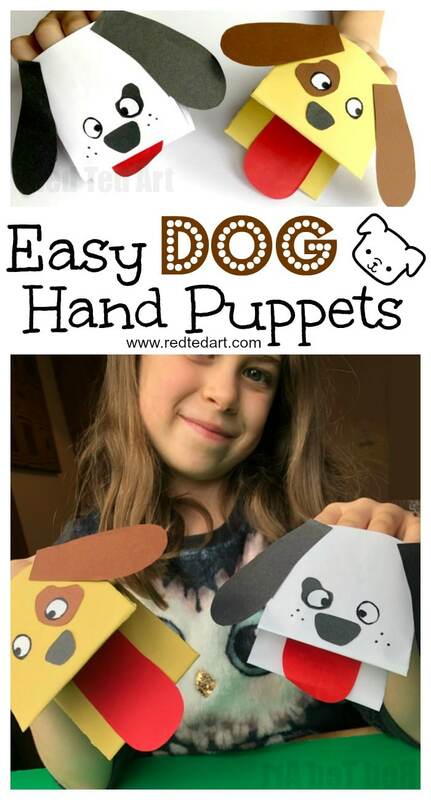 AND of course these Paper Dog Puppets are fun!!!! 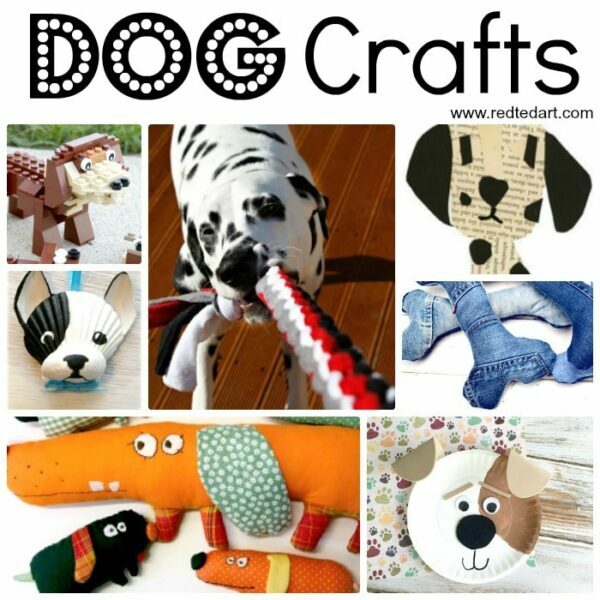 Make one.. make hundreds.. and make all sorts of different Dog Breeds whilst you are at it! 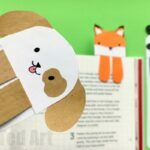 These Paper Dog Puppets are perfect for Preschoolers and older kids too! 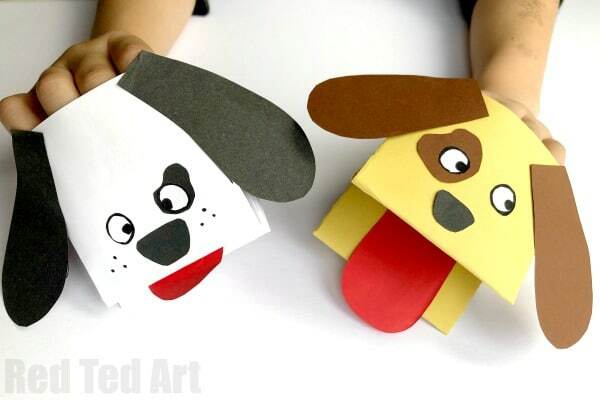 Hope you like these Dog Paper Hand Puppets as much as us.. watch this space for some more designs! 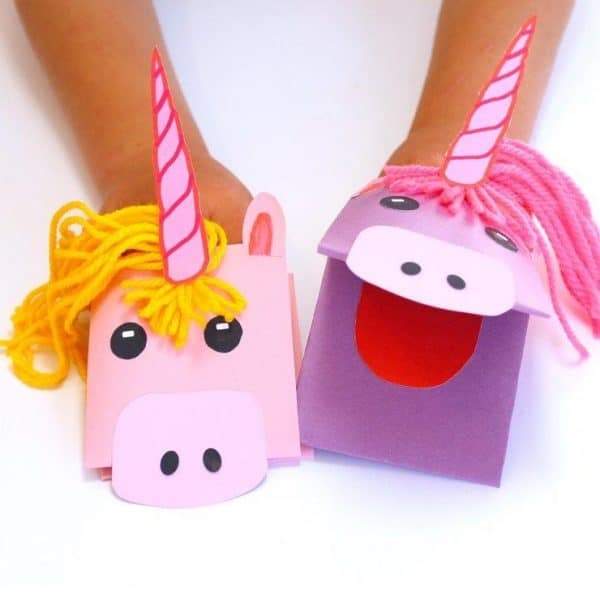 These Paper Dog Puppets where inspired by these genius Unicorn Hand Puppets from Make Film Play.. they are made SLIGHTLY differently, but are just as easy and fun. DO check out Make Film Play today!! So fun!!! 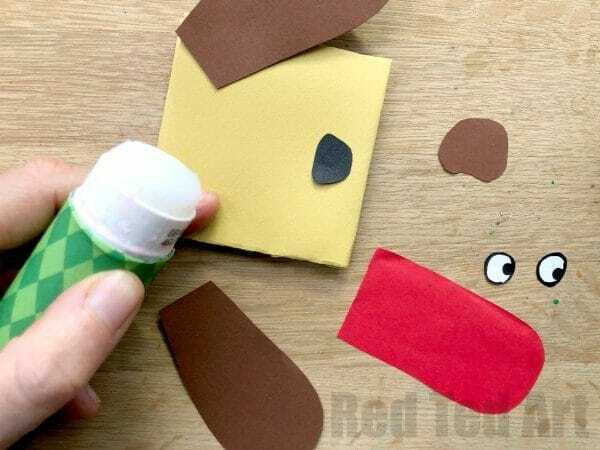 Why not make a red Dog puppet and then it would be a perfect Chinese New Year craft too.. as it IS the Year of the Dog coming up in 2018.. isn’t it? We have a how to video coming for you SOON!!! 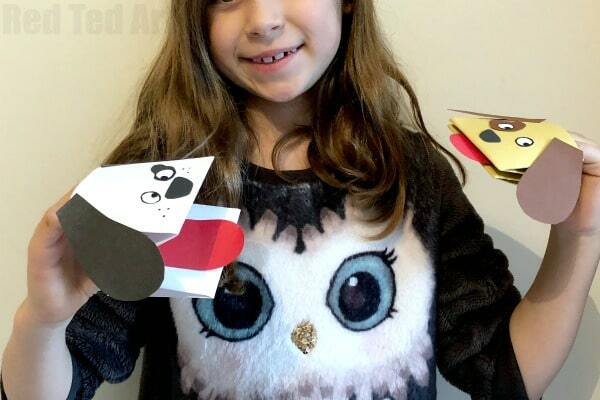 However it is a really easy and cute paper craft, and I am sure the hand puppet step by step instructions below are sufficient for you. 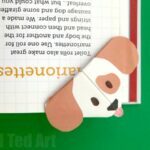 How to make a dog hand puppet – step by step instructions! 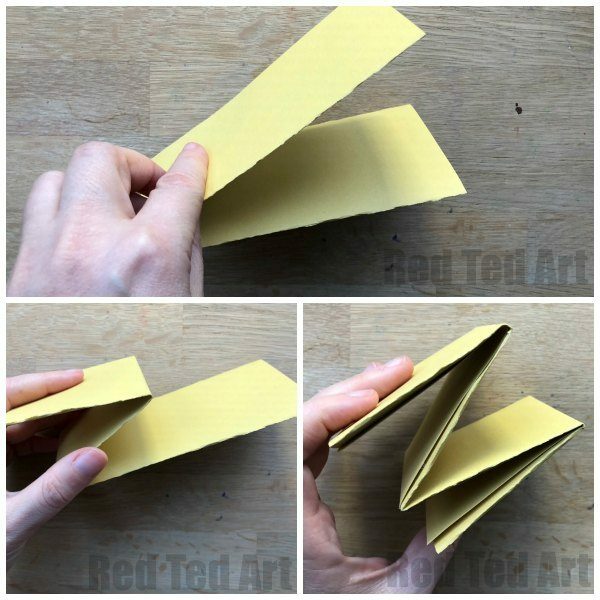 Begin by folding your A4 sheet in paper in 3 length wise. Secure with some glue. 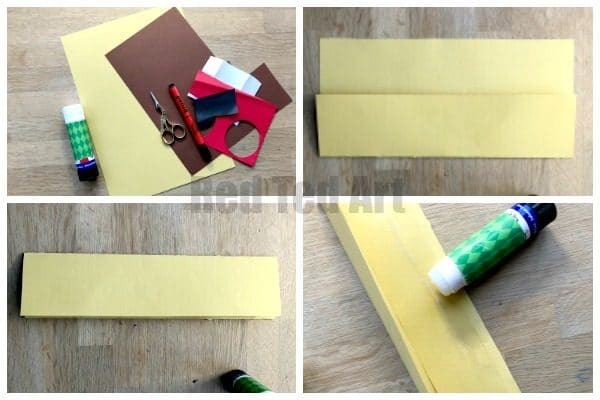 With the seam of your fold on the outside, fold your paper in half. Then fold over flap. Flip and fold over the other. You will end up with a type of “M”. The point in the middle will be your mouth. The long sides of the M, fit you fingers. Cut out all your doggy shapes. 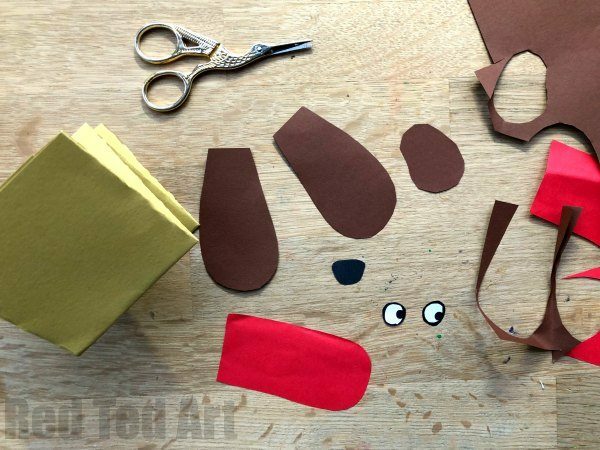 For our first paper dog hand puppet we kept things simple: some floppy dog ears, a tongue, a cute Dog Nose, eyes and a dog eye patch! Now glue them all in place. With the eyes you can experiment – bring them closer together or further apart. 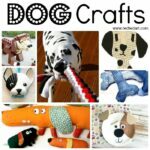 Position them up the face for a LONG Dog face or lower down for a shorter dog face look.. make them look sides wise or cross eyed.. have fun!! 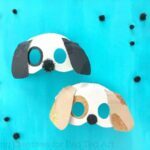 Now let this cute little doggy puppet join is lovely black and white dog friend!! 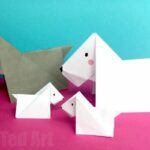 Love easy paper dog crafts for kids!